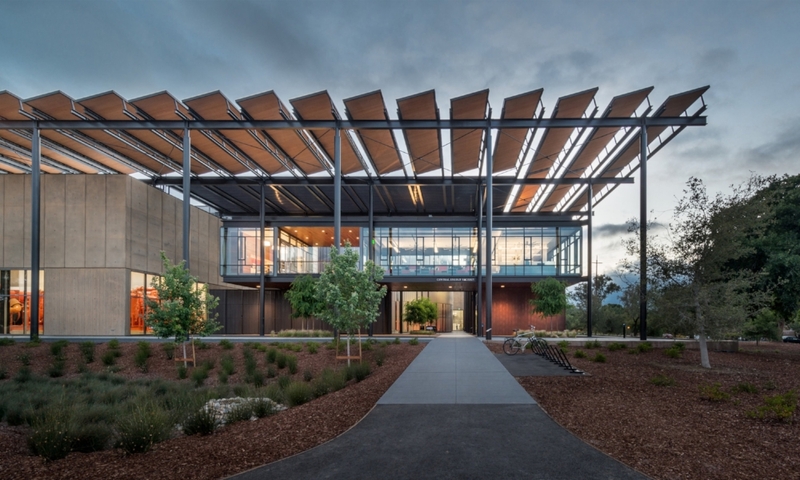 Seventeen projects received recognition in the 2018 Design Awards from AIA Northwest and Pacific Region (NWPR). A record-breaking 113 projects were entered by the Region’s architects from Alaska, Washington, Oregon, Hawaii, Idaho, Montana and Guam/Micronesia. The awards were conferred at an Honor and Awards celebration on Thursday, November 15 at the Bishop Museum in Honolulu, Hawaii. Jurors for this year’s design awards included: Marlon Blackwell, FAIA, Fayetteville, Arkansas, Roberto de Leon, Louisville, Kentucky and Allison Williams, FAIA, San Francisco, California. Roberto de Leon presented the awards to the recipients. 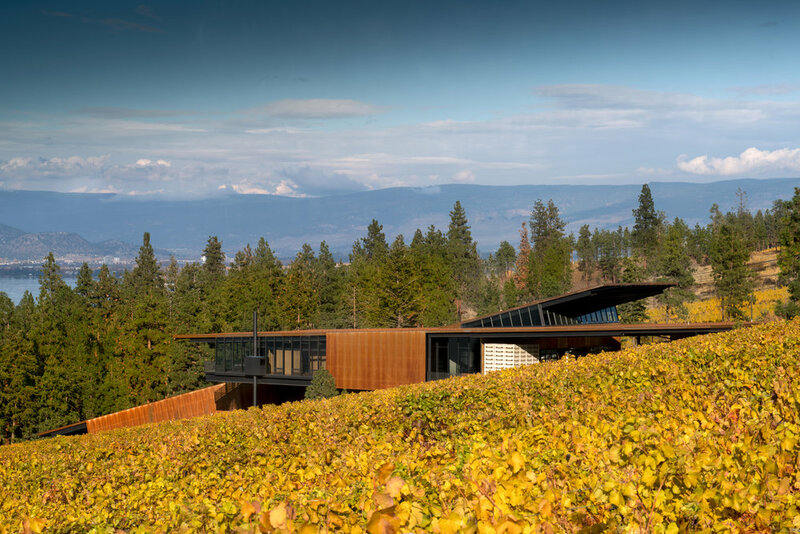 The Furioso Vineyards project consists of the renovation and expansion of a pre-existing winery and the addition of a new tasting room and additional public amenities. Jury comments: The building is elegant. The intentional “lid” brings ceiling down to take advantage of the exceptional views. A beautiful project. 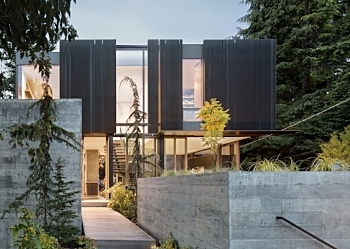 This home in Seattle’s Magnolia neighborhood was designed for an active couple looking for a strong connection to the outdoors, access to daylight, and a clear open plan. Jury comments: Interesting use of the lot. Nice scheme. Blurs the landscape and interiors. Sets up wonderful relationship to landscape. 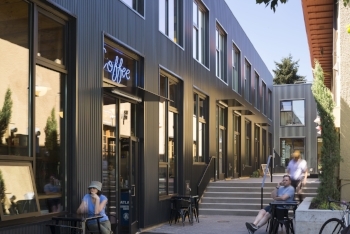 Milwaukie Way reconsiders the potential for an urban infill development to respond to its context, creating a lively public space while also preserving the existing built fabric. Jury comments: The space between the buildings feels just right. Nice proportions. Provides an Important dialogue with the historic building. The Garden’s new Cultural Village not only provides additional space to accommodate its rapid visitor growth, but also - and most importantly - enhances its ability to immerse visitors in traditional Japanese arts and culture. Jury comments: So authentically composed and exquisitely detailed. By the end of the journey up the hill, one feels as though one has arrived in another real world. 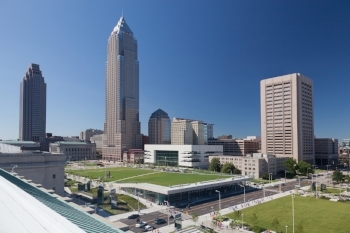 The new Cleveland Civic Core project restores and reinvigorates Daniel Burnham’s original vision—reimagining it for the 21st Century as a vibrant downtown public amenity. Jury comments: Establishes a coherent civic center. The gestures are large but it works well on a human scale. A great example of an urban design project. Olympia Place is a highly sustainable, progressively designed, and privately developed student housing building in Amherst, Massachusetts, adjacent to the University of Massachusetts campus. Jury comments: Awkward elegance. Clever building configuration, contextual, not reverential. Well executed. Black Butte Ranch – an iconic resort community located near Sisters, Oregon – sits at the gateway to Oregon’s high desert. First planned in the early 1970s, the Ranch is a vacation destination for many, and a year-round home for some. The new “Lakeside” replaces the well-worn main pool facility and revives the “heart” of the Ranch. Jury comments: The wood is wonderful here. Setting up the views. Nice spaces to move through and hang out. The fact it’s on one floor creates a dramatic impact. 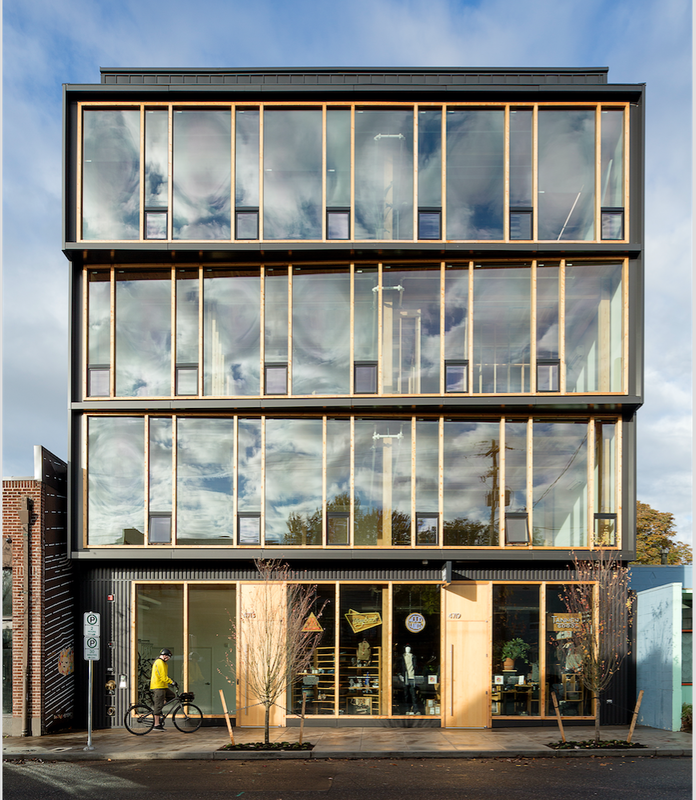 The first building in the United States made from domestically fabricated Cross-Laminated Timber (CLT) and model for wider adoption of mass timber in the U.S. The design approach reflects a commitment to this sustainable technology by developing an architecture focused on economy and simplicity. Jury comments: Edited palette, restrained articulation. Nicely done. Purposeful. 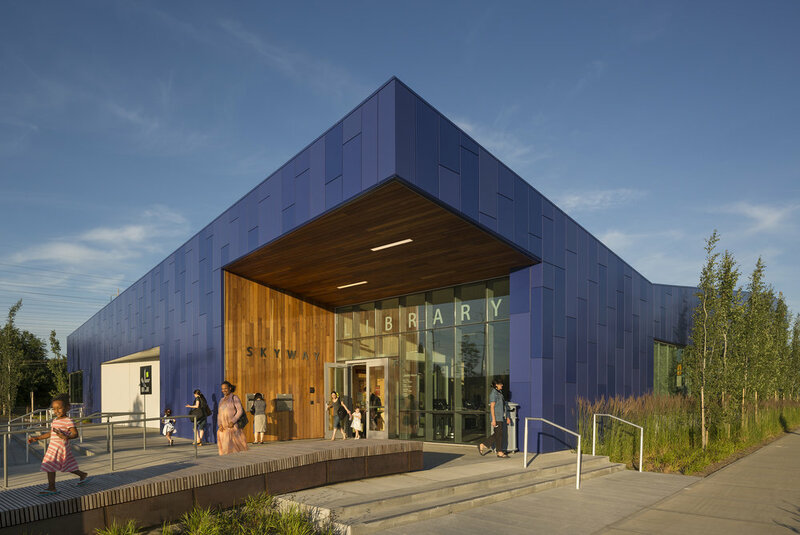 Skyway Library represents the rst signi cant public investment in the Skyway community—an unincorporated, under-served neighborhood—in several decades. Jury comments: Architecture can be more than a building. The mission, concept and clarity define this uplifting project. Community dialogue is key. Example of a purposeful and mission driven program. The stimulus for the design and materials is indicative of Japanese culture as well as the juxtaposition of colors and textures creating balance; another characteristic of Japanese culture. Jury comments: Created a great atmosphere. The interior retrofit is nicely executed. Straightforward, spatially sound. Mega cartoons energize the interior. The private residence characterizes a bold but sensitive departure from the traditional mountain home aesthetic, one that is undeniably knitted to its site and which enhances an appreciation for the broader landscape. Experientially this is achieved by creating a promenade of spatial vignettes that blur the line between landscape and building. Jury comments: Thoughtful and elegant. Nice interface with landscape and terrain. Inventive and cost-effective building solutions, together with careful coordination of the trades, resulted in an everyday building with architectural presence. The Flex project demonstrates that with care and innovation it is possible to raise the architectural quality of ordinary building types throughout our cities. Jury comments: A great sense of economy. Nice daylight. Did a lot with a little. Nice straightforward, and honest. 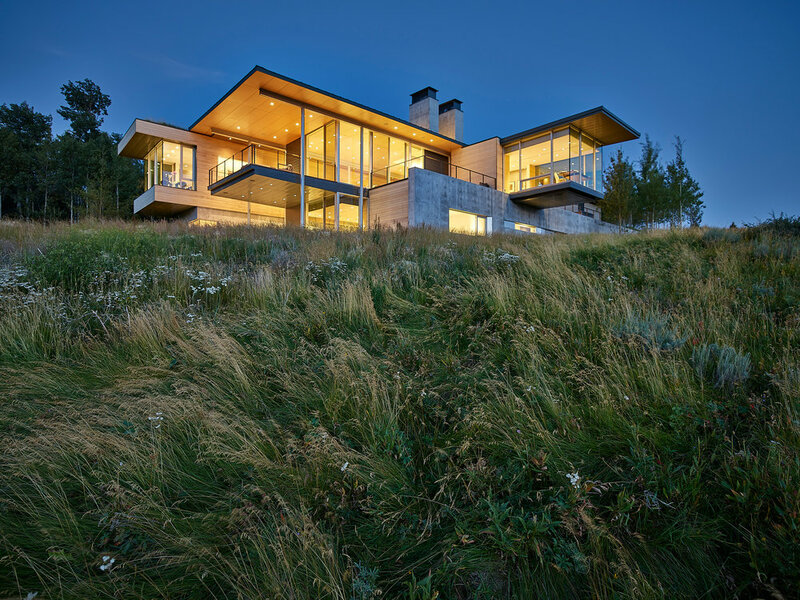 The owners desired a retreat with the feel of a contemporary art gallery, with plenty of wall space to display a rotation of their collection while also capturing expansive views offered by the site. Jury comments: Skillfully edited composition of contrast in black and white, yet warm and comfortable through induction of daylight and accomplished lighting. Fire Station 22 was conceived in response to two fundamental constraints: a very small and narrow site, and an operational imperative for a drive-through apparatus bay. Jury comments: Nice face to the street with isn’t typical. Hierarchy is clear. Very civic minded. Logical plan. Turns typical plan around, redefining the street presence. The exhibition design was developed as part of a larger effort to foster exchange between the University of Oregon’s Department of German and Scandinavian, the Department of Architecture, and the University Libraries. Jury comments: Architecture can be thought about on so many different scales. Beautifully detailed. Traveling exhibit that tells a compelling story. 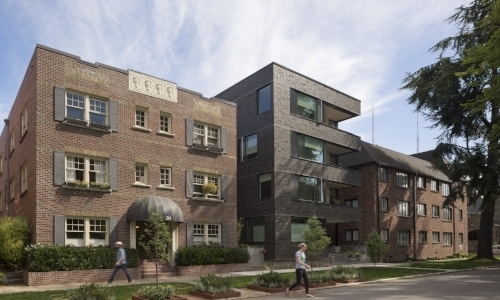 Henry Apartments straddles the intersection of commercial and multi-family zones in the quiet north end of Seattle’s Queen Anne neighborhood. 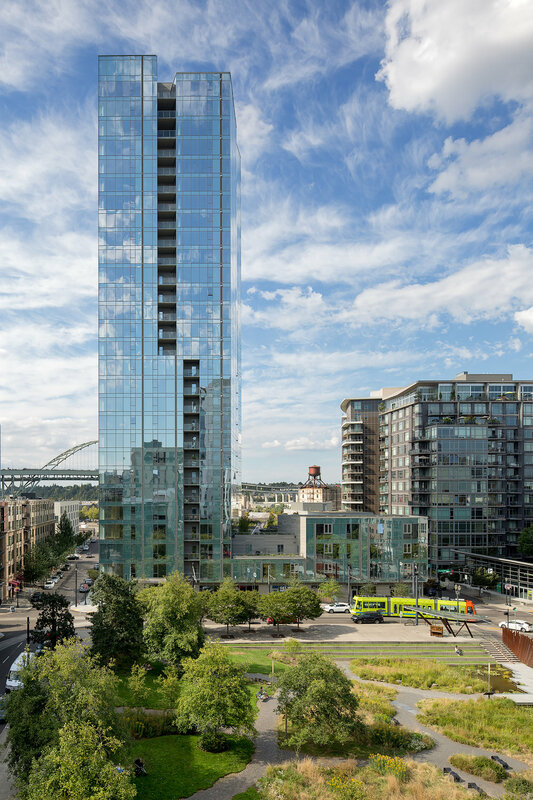 The 100-unit apartment building endeavors to bridge between the light-industrial character of buildings to the north and east, and the residential buildings to the south and west. Jury comments: Cost conscious, lots of daylight and good massing. Nicely executed. Located in the downtown Seattle neighborhood of Belltown, Block 41 celebrates the legacy of an historic warehouse while transforming it into a contemporary, multipurpose event space. Jury comments: Liked the reduced palette. Spaces are well considered. and meticulously detailed. Leather wrapped columns is a beautiful detail. Eleven projects received recognition for design excellence at this year's AIA Northwest and Pacific Region Honors and Awards celebration. The awards presentation, held on October 26 in Seattle, WA, was held in conjunction with the AIA Washington Council Civic Design Awards. A record-breaking 104 projects were entered by the Region’s architects from Alaska, Washington, Oregon, Hawaii, Idaho, Montana and Guam/Micronesia. Jurors for this year’s design awards included: Annie Chu, FAIA with Chu+Gooding Architects, Los Angeles; Tim Hawk, FAIA, President of WSA Studio in Columbus, Ohio and Drew White, FAIA, Co-founder of Axis Architecture + Interiors in Indianapolis, Indiana. Jury Comments: A massive project in scope, scale and budget with an emphasis on sustainability. It is unique and rare that this type of facility, a Central Energy Plant, drives placemaking on a university campus. Stunning! Jury Comments: The project is powerful, subtle, sophisticated and emotionally strong. Its placement on the site responds well to its context. There is a successful approach and commitment to building performance involving cross ventilation and materiality. This is truly a place to be safe, sheltered and educated. Jury Comments: This project is a wonderful piece of sculpture that integrates well into the site. Each space is really well detailed and wonderful. The house deals well with indoor and outdoor transitions. Jury Comments: Timeless in a sincere way. It strongly connects to the neighborhood and relates well to the street. Described as an amazing surgical insertion, there is a strong mix of historical materials with modernist sensitivities. It’s an interesting approach to use residential rent to pay for art. Jury Comments: Beautifully sited with a sincere simplicity. It has a raw and austere quality with nice detailing. Jury Comments: A conceptually strong project grounded in the logic of porosity and shifting volumes to bring light and air access to the residential units. As an object, there is a sculptural quality with a nod to dealing with density. Jury Comments: This is a beautifully detailed project with great scale and proportion. The site and the background geography is exciting and influences the experience of the visitors. Jury Comments: This is a great project that uses the process and production of wine to influence the form of the building. 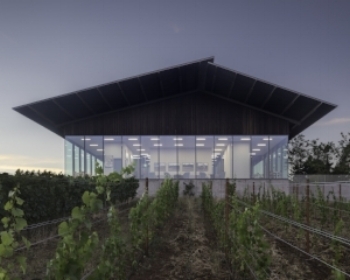 The architect understands the wine-making process and showcases it to the visitors and the public. Great use of light. Jury Comments: The planning and design of the Cosmopolitan Condominiums breaks down the scale of the building very well and creates a sophisticated and sculptural object in the city. The mass of the building is broken up well with the use of balconies to break up the glass blocks. The reflective glass sparkles and provides depth. Jury Comments: The jurors agreed, this is a project about making place and bringing activity back to the downtown neighborhood. They liked the “front porch” gesture and stated that this building has a spirit of generosity. It is well considered and accomplished architecture. Jury Comments: The detailing is very nice and it’s apparent that great care was taken to bring life to the facility. 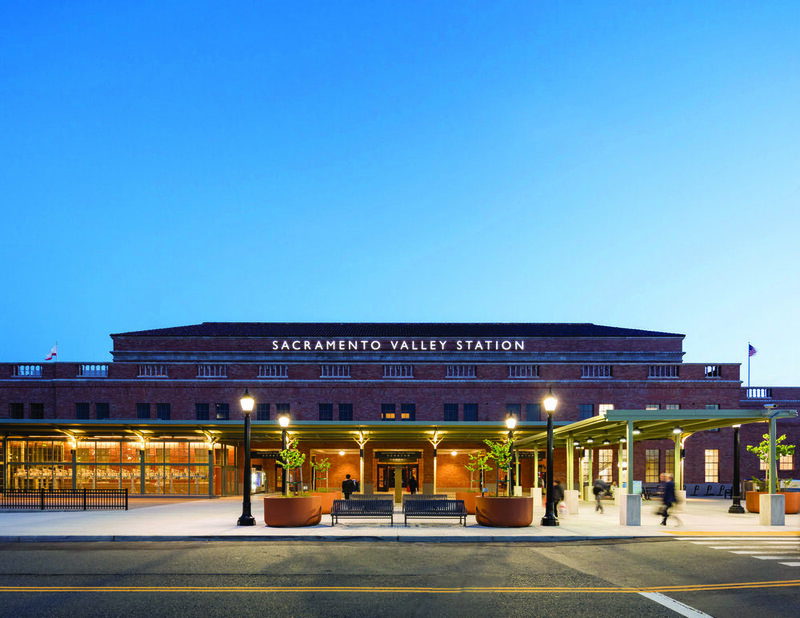 This is a beautiful preservation project and modernization of a historic train station. Description: In designing the fifteen-story headquarters for international luxury clothier Shinsegae International, the design team sought to create an iconic landmark in the heart of Gangnamgu, one of Seoul’s largest districts. The design concept for the new headquarters is derived from three themes: 1) fashion 2) experience and 3) the unexpected. Jury Comments: The steel frame really well done. Operable windows amazing. Ties well with the fashion aspect of the owners. Great rooftop garden for employees. A little jewel. Description: The building is an adaptive re-use and seismic upgrade for a 160 person media agency with a goal to unify the exterior and interior architecture and create a strong common identity space. Jury Comments: Great building reuse. Full of natural light. Appreciated the interior, the materiality of the wood beams. Beautiful staircase. Like a streetscape, with an alley cutting through, but still exclusive. A happy place to work. Great catalyst for other neighborhood improvements, helping to reenergize. Description: Company leaders desired a new office/headquarters that would serve as a refuge from the industrial agribusiness landscape that surround them. They asked for warmer materials, little to no concrete, non-boxlike forms, protection from the freeway, and minimal visible equipment or devices. The approach for the new office was to create an inwardly focused oasis. Jury comments: The building is light, from the structural beams to the daylight throughout. Nicely positioned in its environment. Great integration of the garden, making it a central theme. Looks like a great place to work. Description: Converted from an apartment building to generic medical office space in the 1960’s, the historic 1930’s Anhalt building and site have been restored back to their original residential use. The new addition provides an additional 15 apartment units configured around a new courtyard positioned between the two structures. Jury comments: Pretty smart project. It seems one story too tall, but still works as part of the historic integrity of the neighborhood. Great brickwork. Nice reinterpretation. Description: Nestled into a lush second growth forest on a north facing bluff, Little House overlooks Hood Canal in Washington. The new building repurposed an existing foundation, just over 20 ft. square. 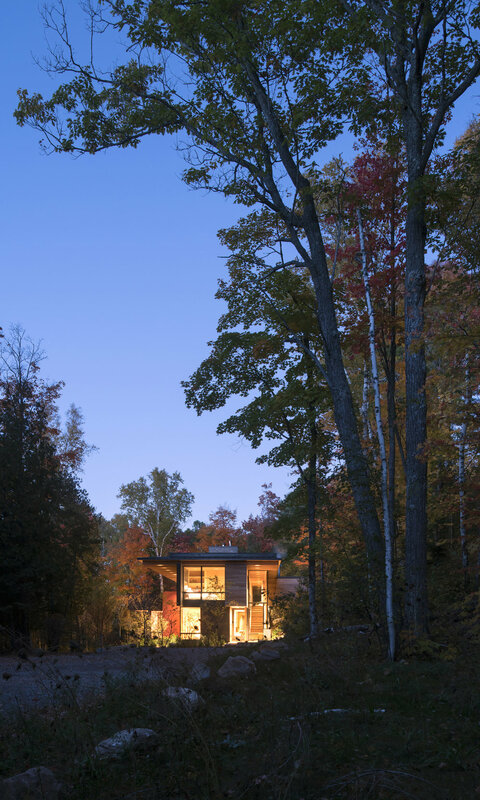 The simple form is abstracted against the forest – a stark exterior contrasting a warm bright interior. Jury comments: Simple and beautiful. Met our expectation of a retreat. The layout is good, with a nice use of materials. Small, simple ideas that show restraint. Ingenious and well done. Impressive canopy. Description: This project is an 8,000sf replacement for FS92 – originally built in 1962 as a small volunteer fire station. The fire station provides open and inviting views into the apparatus bay from the main pedestrian and vehicular thoroughfare, creating a more positive connection to the community. Jury comments: We really liked the integration of the screen and wood, and how they slip together. Conscious of sustainable strategies. Signage nicely documented. With a modest budget, it was money well spent for the civic functionality. Handsome building. 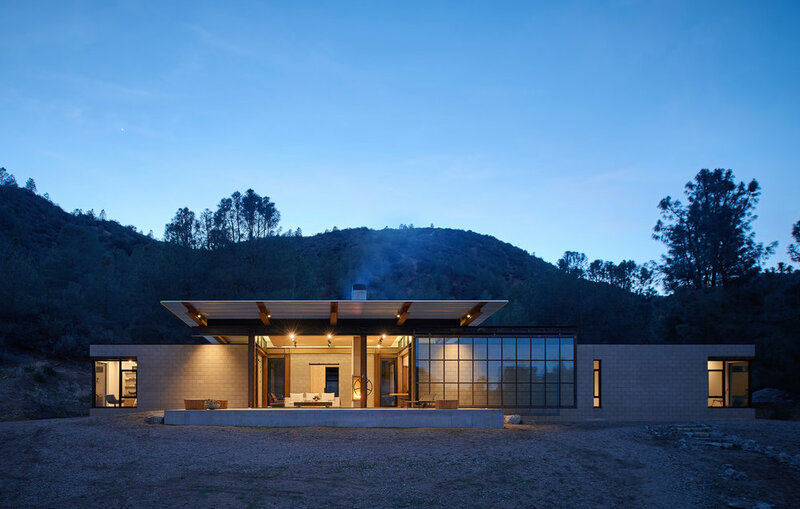 Description: This single-family 1,440 square foot residence and 550 sf guest house was designed to broaden the owners’ already strong emotional connection to the living world. The design attempts to make the pond and residence a single entity in which the owners can enjoy and connect with the wild creatures that come to the water. Jury comments: Classic NW style, set in a beautiful location. It’s lovely. Perfect for its site. A sweet little project. Description: At the intersection of two rural roads, presiding over patterned fields and the Cascade Mountains, Fire Station 76 serves a rural community of family farms and nurseries. 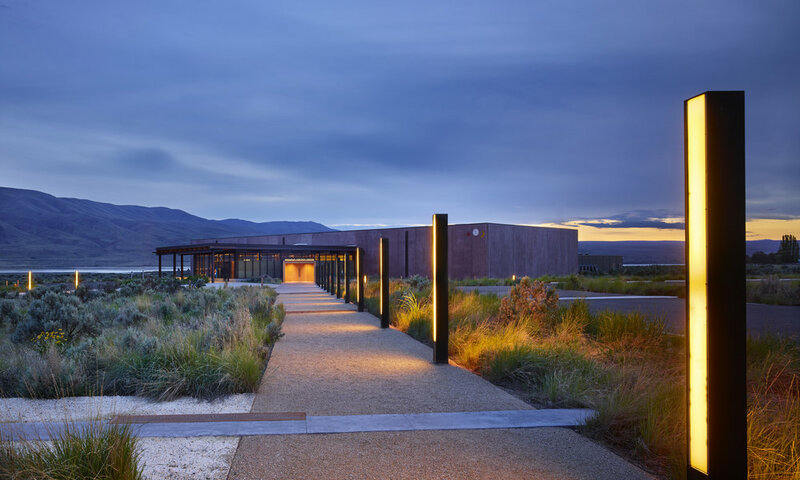 The simplicity of the local environment, scattered with quietly- formed agricultural buildings, textured with materials of practicality - primarily wood and metal - provided inspiration for the building concept. Jury comments: We loved the diagram. The juxtaposition works. Nice light views. Very sophisticated. The designers took greater risks in solving the issues. Description: The original 1966 library structure was constructed to iconically straddle the Cedar River with views to the water, railway, and active salmon habitat. Its unique location was well loved by generations of community members and well worth preserving. Inspiration for the renovation came from revealing the true nature of the library as bridge with expansive views to the Cedar River below. Jury comments: Restricted and limited in its scope. Having to work within a tight restraint. Nicely done. Description: Laura’s Place is a supportive transitional housing facility for women who have graduated from an in-patient treatment. Laura’s Place offers mothers who have successfully completed their treatment programs a communal home where they can take their next step in the recovery process and translate new skills to everyday life. Jury comments: Really wonderful way of using architecture as a civic driver. Well done. Elizabeth Chu Richter, FAIA, is the CEO of Richter Architects based in Corpus Christi, Texas. The firm is a recognized leader in the profession with award-winning designs. It was honored with the prestigious Architecture Firm Award from the Texas Society of Architects in 2011. Recent projects include the National Museum of the Pacific War, Mission-Aransas National Estuarine Research Reserve, Del Mar College Academic Complex, Manila American Cemetery Visitor Center in the Philippines, and GSA Design Excellence U.S. Land Ports of Entry in El Paso, Laredo, and Columbus, New Mexico. Elizabeth was elected as the 2015 national president of the American Institute of Architects (AIA). She was the first Asian-American woman and the fourth woman to served as national president in the Institute's 158 year history. The AIA has over 87,000 members in the U.S. and abroad. Elizabeth is an honorary member of the Japan Institute of Architects, the Korean Institute of Architects, and the Australian Institute of Architects. She is frequently invited to speak on leadership, design, and the future of the architectural profession, Most recently, she was invited to lecture at the Savannah College of Arts and Design and the 2016 US-Korean Conference of Korean-American Scientists and Engineers Association. Peter Exley FAIA, RIBA is an architect, designer and advocate for play, public space and participatory experience. Hailing from Yorkshire, he arrived in Chicago for a year in 1985. He has mostly been there ever since, and founded Architecture Is Fun on April Fools' Day 1994. He is an adjunct Full Professor at the School of the Art Institute of Chicago, the co-host of PechaKucha Night Chicago, winner of the Benjamin Moore HUE Award, was the 2013 President of AIA Chicago and currently serves on the national Strategic Council of the American Institute of Architects. Robert Venturi and Denise Scott Brown note that the projects of Architecture Is Fun are “works of significance and relevance, joy and seriousness, range and depth”.